Six templates every business needs to grow, no strings attached! Owning a small business is unbelievably rewarding. Doing work that makes a difference and adds value, creating jobs and achieving great things together. We’ve compiled six templates and tools that every small business needs to grow in 2018. I’ll admit that I’ve spent a lot of time reading blogs, books and going to seminars like Tony Robbins to find the ‘secret’ to successful business. What I’ve learned is that building a business starts with setting goals and having a plan. And the best thing is that this doesn’t need to be overwhelmingly complicated. 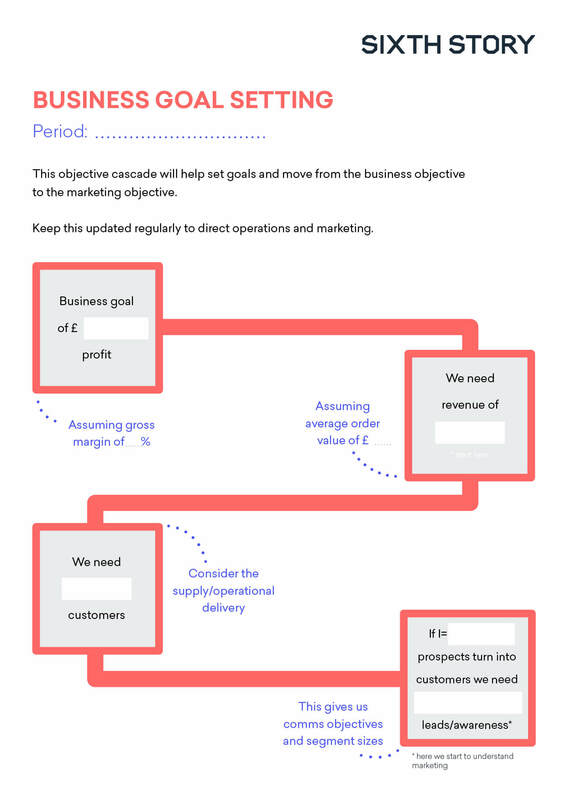 We’ve created a one page business plan template and you can grab it right here. Once you have your business plan and you know how many customers you need, there’s one crucial step before to complete before you can go out and get them. You need to know who they are. We write about this quite often because it’s so very, very important. It’s too easy to make lazy assumptions about who our customers are. But if you take some time to get this right, we guarantee you’ll grow your business. It’s a little bit daunting to start with a blank piece of paper so we have a separate blog (and ebook) dedicated to this topic to get you going. I’ve often said that your brand is like your ‘Northern star‘. In building a business, brand identity is one of the most important aspects to focus on and invest in. It’s your milky way of vision, values, creating expectations and experiences for your customers and (future) employees. And like a Northern star, it guides us on look and feel, tone of voice, the decisions you make, the people you hire and the customers you (want) to attract. It is the key ingredient to building trust. If you have a set of brand guidelines, gold star for you. If you don’t, here’s a little download on what it is, how it’s used and what should be in it. The mythical and mystical marketing plan! We talk to many businesses and this is another illusive area so don’t feel bad if you don’t have one, you’re not alone. It’s something we seem to overcomplicate and it doesn’t need to be that way. As long as your goals are SMART and you’re working on them consistently, it’s better than a picture of a ham sandwich! So here it is, our advice on making sure your goals will get you where you want to go and a one-page marketing plan template to fill out and get you started on your journey. When you’re working in a team, even a small team, it’s pretty hard to have oversight of what everyone is doing and what the state of play is at a glance. Whether it’s our ‘production board’, a web project or our business plan we use a great online tool called Trello. You can have columns for people, departments or stages of a project, little cards that you can drag and drop for your categories or ‘chunks’ as we call them, with have lists with deadlines to keep it all orderly. 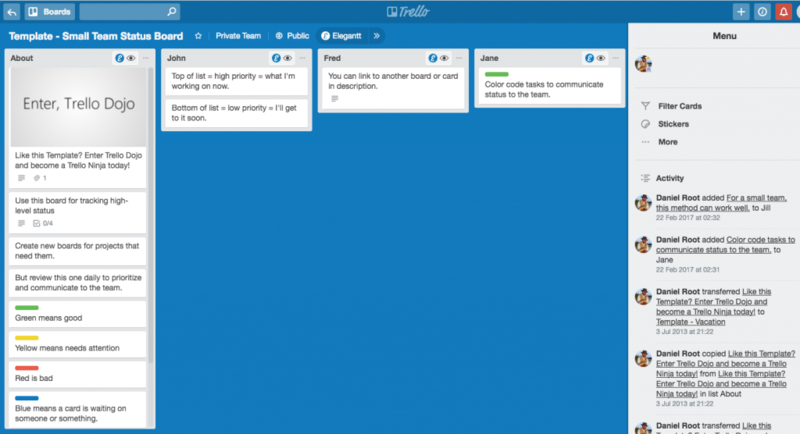 There’s a freemium version of Trello so no cost and it takes minutes to set up and invite your team to join. It’s a great way to keep track of it all. Every business and every team can always find a few areas to improve. 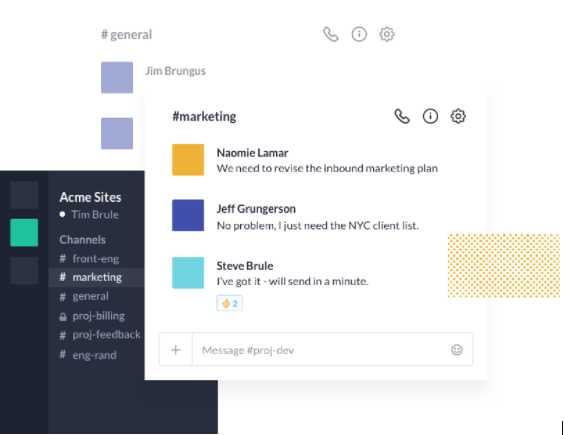 Communication and collaboration in our team flows, whether you’re in the office, out at meetings or on the go having our calendar, link sharing, group chats are all in one place is a life saver. It’s easy, slick and smooth. On Slack, someone can send you a quick message (rather than email), you have your calendar entries pop up, set yourself reminders, share files and links and of course there’s a ‘do not disturb’ mode too. We recommend at least giving it a go. So there you go, a few templates and tools to get you off to a flying start in 2018. We hope you’ll find them useful and gives your business a boost. Here’s to a successful and booming 2018!